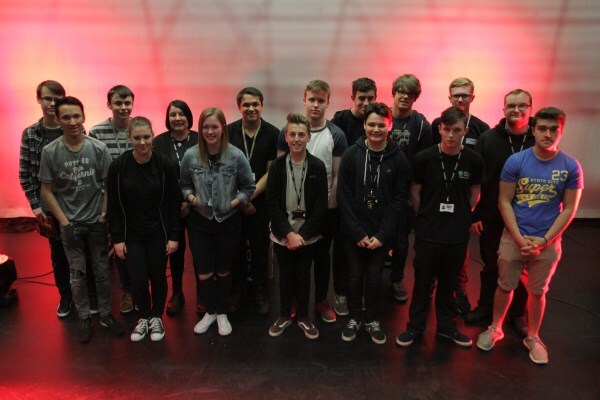 Technical Theatre students at West Cheshire College were invited to take part in a Student Demo Day with innovative lighting company Robe Lighting. Robe Lighting, which manufactures innovative, high quality moving lights and digital lighting products for the professional entertainment and leisure, architectural and themed environment industries, led a full-day’s workshop at the College’s Ellesmere Port Campus. Angie Berwick, Programme Leader for Events & Technical Theatre at West Cheshire College, says: “As part of our study programme in Technical Theatre it is extremely important that our students gain experience and knowledge of working with leading industry technology and equipment. For more information about studying Technical Theatre at West Cheshire College, visit west-cheshire.ac.uk or call the College hotline on 01244 656555.